The National Beekeeping organizations and the National Honey Bee Advisory Board have joined forces to protect bee keepers and the food supply in an appeal against the EPA for its approval of a highly toxic pesticide called Sulfoxaflor. 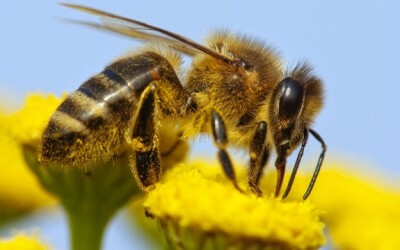 This toxin has been classed a fourth generation neonicotinoid which scientists worldwide have linked to colony collapse disorder (CCD), resulting in the massive and widespread death of so many bees. Even NASA has said that this particular pesticide is ‘highly toxic’ to bees and other pollinators. Dow Chemical Company, Inc. makes this chemical and currently sprays it on cotton. It is meant to be used on other crops soon. The appeal was filed by the American Honey Producers Association, the National Honey Bee Advisory Board, the American Beekeeping Federation, The National Pollinator Defense Fund, and three beekeepers, Bret Adee, Jeff Anderson, and Thomas R. Smith. It is to be put before the U.S. Ninth Circuit for Appeals, and it requests changes to the labeling of Sulfoxaflor. If this appeal is supported it would help to acknowledge the affect fertilizers, herbicides, pesticides and other chemicals have on the world food supply, and hopefully garner new laws in the US. Earthjustice is the public law organization that supports the beekeepers in their quest. The appeal process is the only way that the current court system could challenge the EPA’s decision to allow Sulfoxaflor to be used on thousands of acres of land annually. To support the beekeepers in their quest to defeat Dow, you can sign a petition here. The more frequently this pesticide is allowed to be used, the more bees will die. This greatly threatens the world food supply. PS Just ban the stuff. They did in many European countries. Well now they just need to teach the bees to read the label. Save my friends, the bees, save ourselves! Bumble Beesand other wild pollinators get killed by these pesticides as well. It is time for the EPA to stand up to the pesticide manufacturers. An interesting read………we need to united and hold our ground beekeepers of the world.